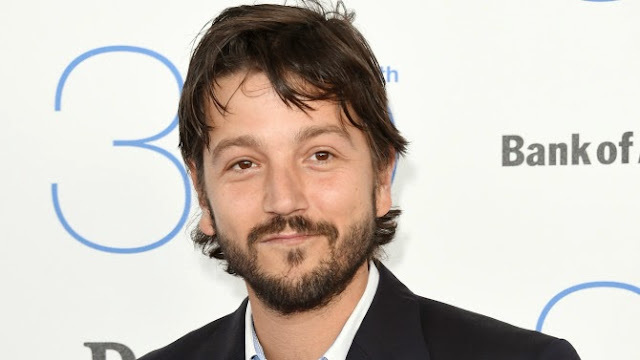 Director Gareth Edwards has found another rebel fighter to battle the Empire in “Star Wars: Rogue One.” Sources tell Variety that Diego Luna is in talks for a lead role alongside Felicity Jones and Riz Ahmed, with Ben Mendelsohn set to star as the film’s primary villain. Disney and Lucasfilm had no comment on the casting. At a panel with Edwards and Lucasfilm president Kathleen Kennedy at the recent Star Wars Celebration convention in Anaheim, Edwards revealed that the plot of “Rogue One” revolves around the heist of the Death Star plans by a group of rebel fighters, with Jones starring as one of the rebel soldiers. Sources say Ahmed and Luna also play rebel fighters. The film will take place between Episode III and Episode IV, but closer chronologically to “A New Hope.” It’s set to bow December 16, 2016. The cast is expected to be a large ensembler similar to “The Dirty Dozen” and “Saving Private Ryan,” but sources add Luna is one of the leads of the film with Jones, Ahmed and Mendelsohn. Over the past couple of years, Luna moved from in front of the camera to behind it, directing a number of smaller art films set in his native Mexico. The multihyphenate was involved in several films in 2014, including the biopic “Cesar Chavez,” which he directed. He most recently starred opposite Mel Gibson in “Blood Father” and is in post-production on “Mr. Pig,” which he wrote, directed and produced.